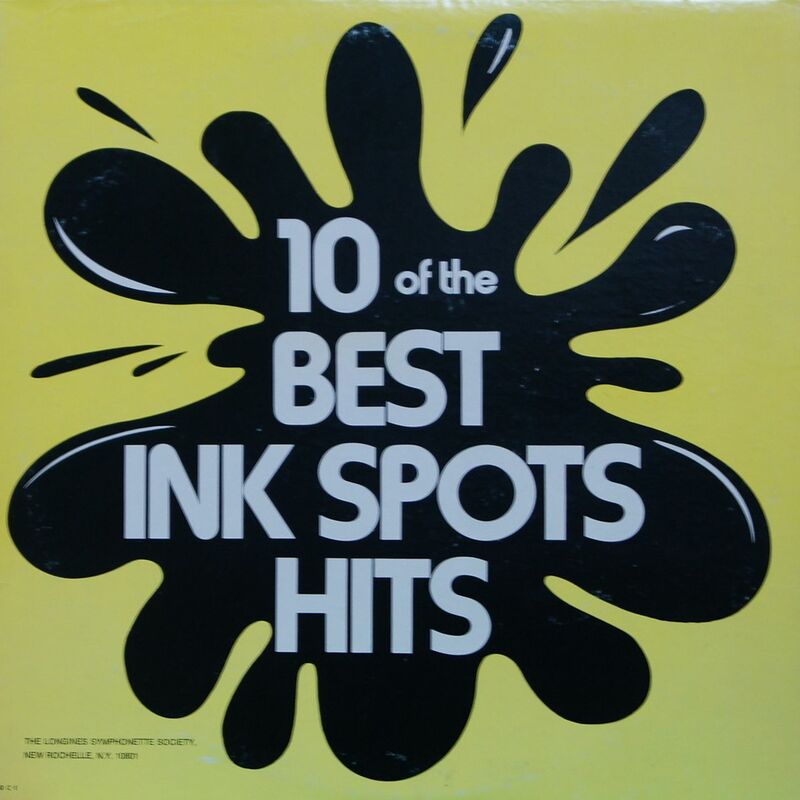 I think this was acquired because of the association with the ink spot tests that are performed by psychologists (the Rorschach tests). I certainly did not know that the Ink Spots were a famous band in the 1930s and 40s. Listening to this you get a feel that this was done way back when. The music ok – it is old time music – a precursor to pop music, to do-wop, to rock music. But it has roots in the big band era as well. The biggest with this album is the packaging. You have no indication of the music. It could be a comedy album, judging by the cover. The notes on the back explain how a vinyl record is recorded and manufactured. There is no mentioned of who the Ink Spots are/were or what their music represented. It even has a 3-year guarantee that stipulates that if the record wears out in three years you will have it replaced with a new one for the cost of one dollar shipping and handling. Truly bizarre packaging – but a nice album. Is it still possible for there to anything to uncover about the Beatles? This, the first great group of Rock ‘n Roll. The first Kings of Pop. Every once in a while the internet announces that something “new” has been discovered from the Beatles past – be they songs, pictures, notebooks, whatever. Most people ignore this as they did with Elvis Presley sightings back in the day. The music here is not earth shattering – it is The Beatles after all. In its time – perhaps revolutionary. But I’ve heard most of these tunes in a Muzak version on an elevator or in a shopping mall – so the edge has worn off. What is interesting here are the notes on the back cover that explain why the particular track was chosen and its significance. This would no doubt be of interest to a tru Beatles fan. What pure electro-pop. Pure synth-pop. Saturdays in Silesia is clean. The beat is pronounced. It is fresh. It is crisp. This is a great pop song. 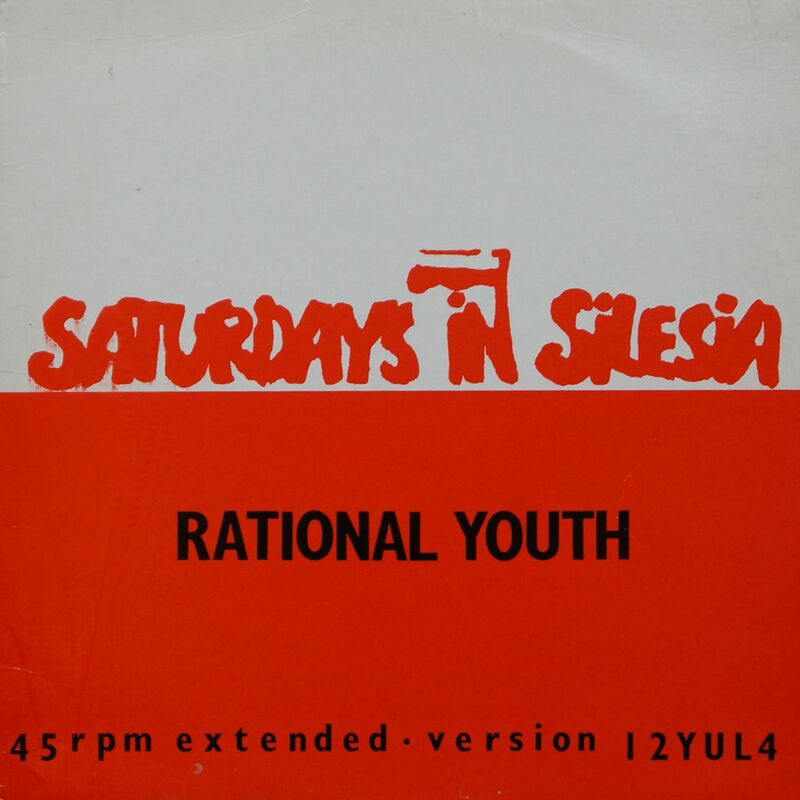 Rational Youth were a band out of Montreal that was prominent in the early 1980s. I should say they are a band as they are still around. They have a sizable discography and had a few hits but they are all overshadowed by this one. There is another song on this EP, Pile Ou Face, but when that is playing you just want to hear Saturdays in Silesia again. The song really hits one out of the park and I’m sure the band feels that it is a blessing and a curse. Braty Hadiukiny were one of the best Ukrainian rock bands in the 1990s. I met them in Warsaw in 1989 as they were on their way to play a festival in Sopot. When they were in Toronto in 1990, we saw B.B. King together. I hung out with them in Ukraine. I’ve kept in touch all these years. So should I be entitled to write a review of their album? Why not. It is a great disk. The songs are catchy and witty. This album sees them introduce a horn section which really filled out their sound. They evolved from a punky-reggeaish outfit to a slick bluesy rock outfit. The transformation from when I first heard them to this album is quite astounding. The music is quite diverse actually – it is a good reflection of what music influenced the lyrysist and singer, Serhiy Kuzminsky and the rest of the band. There are lots of nods to bands here from the Rolling Stones to the Talking Heads, to Bob Marley to even Ukrainian folk. It is a great album. Yes I’m biased – but it is a great album nonetheless. One of my teachers in early grade school kept on playing it during nap time. It is seared into my brain. I do not have any long term issues, nor did hearing this again trigger any pent up fury. My only thoughts were – Why do I have this? And – Shall I listen to the whole thing. The latter was addresses in the affirmative and the former query was unresolved. This is a mindless kids album which serves no purpose in this day and age. 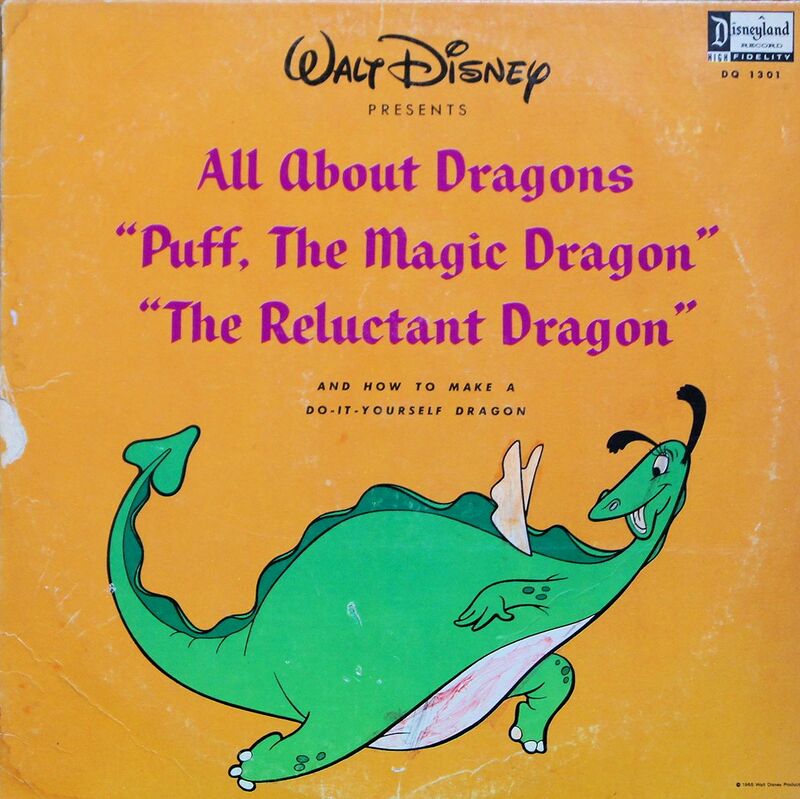 I dislike Puff the Magic Dragon – this is clear. I dislike this album because it is bland and uninteresting. I bought this in Kyiv in 1993. I was surprised to see this in the store because it was still a “government-run” store, it was the main shopping store in the centre of Kyiv, and the Soviet Union was gone. It was cheap, it was vinyl and I bought it. What strikes me about this album is how bad the quality is. You cannot make out any of the words being song. The sound is flat. It is akin to making multiple generational copies of an analogue cassette tape and then using that to master the record. It sounds like it is being played far away. 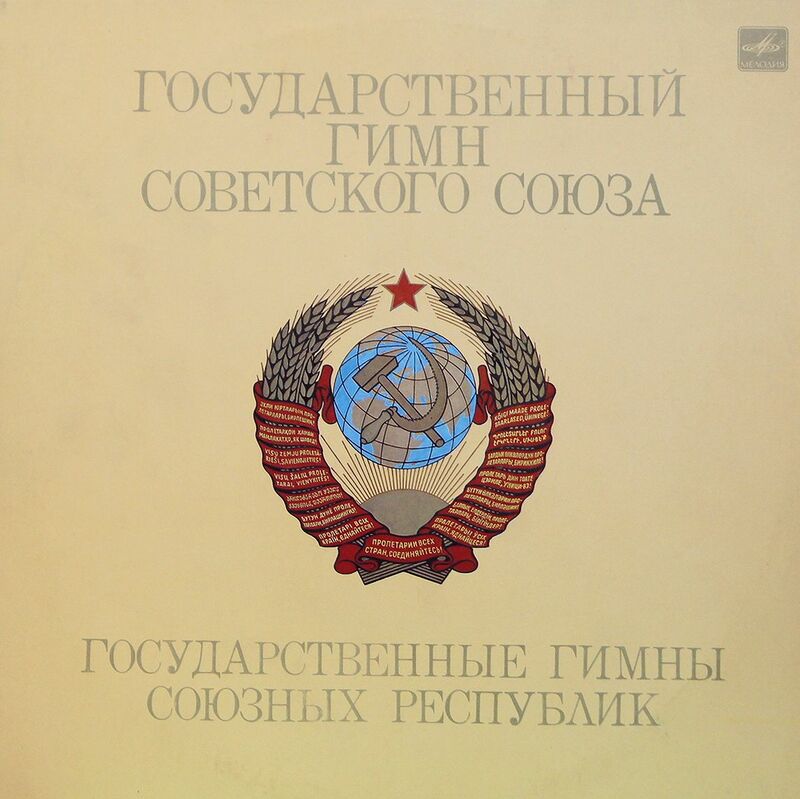 The recording is bad and the anthems of the Soviet Union are uninteresting. For the record – I never saw this movie. For the record – this is the first time I’m listening to this album. For the record – I have no idea why I have this album. I’m not going to waste time and energy to speculate. For the record – this album was in a remainder bin – you can tell because of the large drill hole in the cover. For the record – this record might count as Canadian content because David Foster was one of the producers. For the record – If you want to hear a fair selection of radio friendly 1980s pop – this might be for you. Klymaxx, Patti LaBelle, Kim Wilde – they are all here. For the record – this album does not make me nostalgic for this aspect of the 1980s. 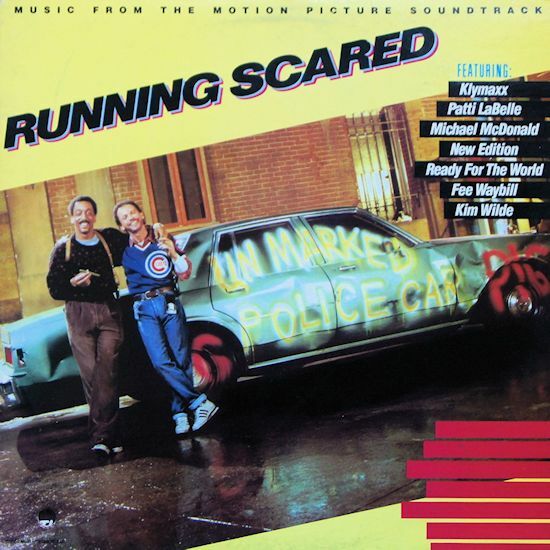 For the record – this album does not make me want to watch the movie. 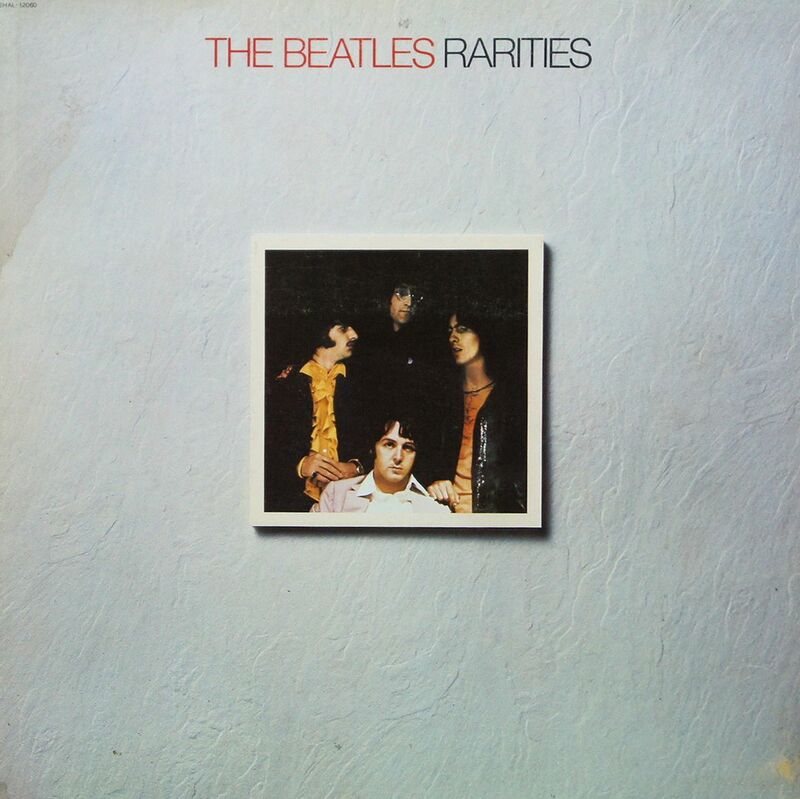 For the record – the first side of this album did not compel me to listen to the other side. For the record – I listened to side two and my opinion of this disc has not changed.